Williams & Company provides comprehensive Spill Prevention, Control, and Countermeasure (SPCC) compliance services for a variety of facilities from farms to bulk oil distributors. Our knowledgeable compliance team has prepared hundreds of SPCC Plans throughout the U.S. and provided clients with the expertise necessary to meet their SPCC Regulatory Compliance Requirements. Williams & Company’s consultants will help you navigate through the complicated SPCC regulatory requirements and turn confusing SPCC regulations into a clear, understandable SPCC Plan that is specific to your facility. Our goal is to help protect your facility from the penalties associated with failure to meet regulatory requirements, while minimizing your regulatory costs and compliance burdens. If your facility needs an SPCC Plan, it will be classified into one of three types of facilities. Your facility classification will determine how your SPCC Plan must be prepared. To find out what classification and SPCC Plan you need, CLICK HERE. 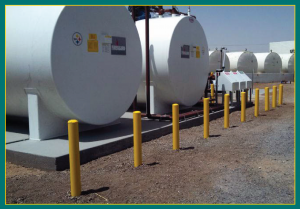 Many facility owners are under the impression that once they have developed and implemented a Spill Prevention, Control, and Countermeasure (SPCC) Plan they are compliant. One of the most integral parts of a SPCC Plan is often overlooked – SPCC employee training. The SPCC regulations require that all oil-handling personnel at SPCC-regulated facilities be trained. To find out more about SPCC employee training, CLICK HERE. Your SPCC Plan will include regularly scheduled inspections and integrity testing that must be documented. The SPCC rule requires that you keep a record of the inspections and tests, signed by the appropriate supervisor or inspector, for a minimum period of three years. To find out more about SPCC recordkeeping, CLICK HERE.